Updated with a map showing the GPS locations for the pictures taken by Colin Brooks. Each color represents a different day; each dot indicates the GPS location that Colin’s GPS linked camera recorded. They covered a lot of water! 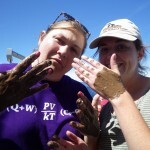 See photos from the BL5421 course Lake Superior Explorations on the GLRC Flickr page. Also see the list of YouTube videos including aboard the research vessel as well as underwater footage. 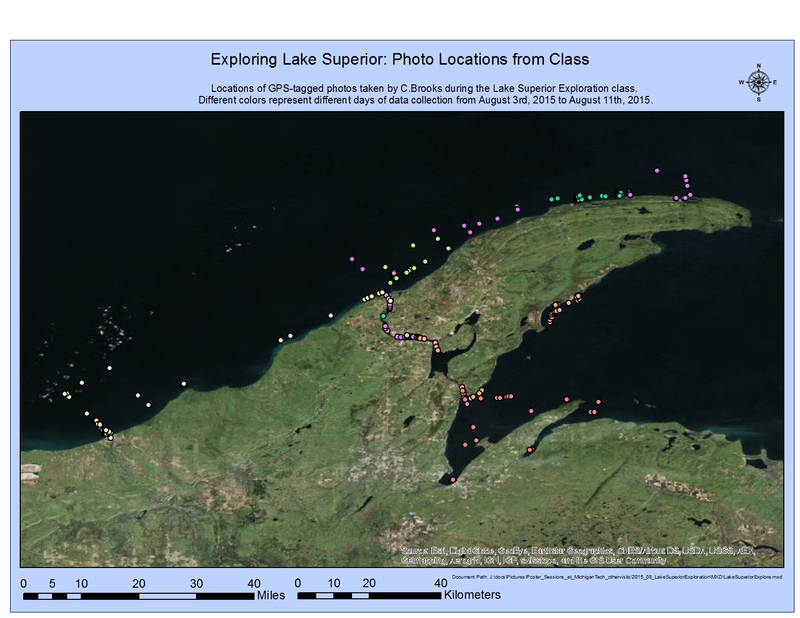 .Explorations will take students to several Lake Superior environments, weather permitting, including the Ontonagon River, Huron and Keweenaw Bays and several sites along the western shoreline of the Keweenaw Peninsula. This voyage of discovery will target ecosystem processes, seeking signals of their presence along boundaries in time and space, including day/night sampling and over gradients found at the interface between tributaries and the open lake, along the major axis of embayments and across the coastal margin.Areas of coverage include: Collection of standard light, temperature, DO profiles, use of drogues/drifters to track current, Autonomous vehicle application, Sonar profiles, Primary production by microbes and algae, day and night comparisons of zooplankton, benthos and fish, and ROVs to observe these organisms, and standard PONAR and sediment collection. Mine waste is dangerous to human and environmental health. The recent mine waste spill in Colorado is a stark reminder of that, but while details on the event may be sparse, the science behind remediation is not. 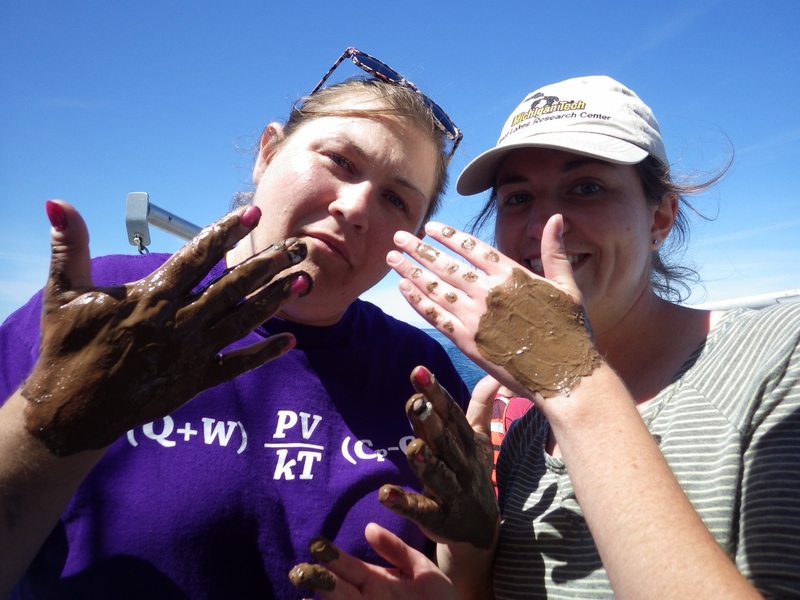 Rupali Datta, an associate professor of biology at Michigan Tech, delves into how the heavy metals found in mine waste affect biological systems. She focuses on biochemistry and genetics to understand how metals are taken up by plants and animals–and how those metals are detoxed. Datta collaborates with Dibs Sarkar, a professor of environmental geochemistry in Montclair State University, New Jersey who is also an adjunct professor at Michigan Tech. They work on an abandoned coal mine site in Southern Illinois, testing the effectiveness of a “green” technology that they have developed to combat acid mine drainage problems in impacted water and soils. Sarkar says the spill is not a unique situation and could have been prevented. Acid mine drainage is a routine problem in surface coal mines and metal mines, but are mostly not properly managed and the sites are abandoned. This current spill, which is from the Gold King Mine into the Animas River outside Durango, Colorado is getting media attention because of its scale, which is so vast that it would be difficult to fully gauge its impact on the environment right away. 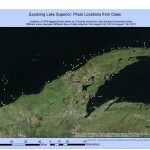 Long term impacts of the spill on the Animus River basin will need to be studied carefully. Datta and Sarkar do say the Environmental Protection Agency has taken quick steps to tackle the situation. “However, their treatment process is generating a huge amount of solid waste in the form of contaminated sediments that they have to deal with down the road, and I hope, they will look for “green” methods instead of just dumping them in landfills,” Sarkar says. 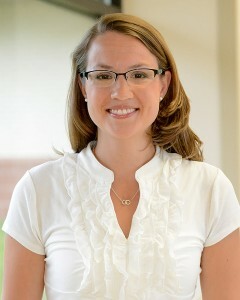 HANCOCK, Mich. – UP Health System – Portage is proud to welcome Tara Robinette, MD to its Emergency Department. Dr. Robinette is a board certified emergency medicine physician and began seeing patients on August 1, 2015. Dr. Robinette completed medical school at Michigan State University in 2011 and residency training at the University of Michigan/St. Joseph Mercy Emergency Medicine program in June 2015. Originally from Swartz Creek, Mich., Dr. Robinette received her bachelor’s degree in biology and pre-med from Michigan Technological University in 2007. She was also a student-athlete for the Huskies, running cross country and track. Dr. Robinette enjoys traveling, running, hiking, mountain biking, cross country skiing, snowboarding and snowshoeing in her spare time. Her husband Darrell is also a Tech graduate. Since 2007, the UP Health System – Portage Trauma Center has been verified as a Level 3 Trauma Center by the American College of Surgeons. UP Health System – Portage was the first in the state to earn this designation. As of 2012, UP Health System – Portage was one of just two verified Level 3 Trauma Centers in the state. UP Health System – Portage owns and operates a 36-bed acute-care hospital, a 60-bed skilled nursing unit and related health care services in Hancock-Houghton, Michigan. More information about the UP Health System can be found at UPHealthSystem.com.